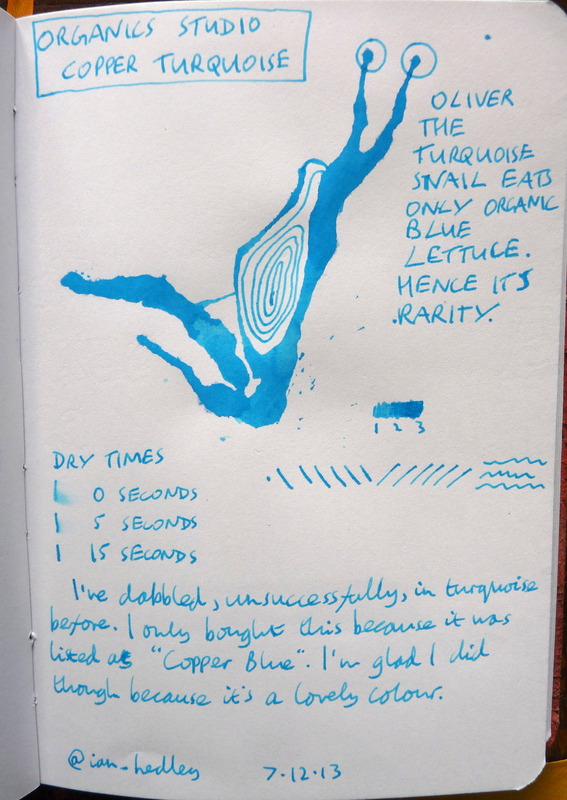 Organics Studio Copper Turquoise ink review – Pens! Paper! Pencils! Organics Studio have great branding and make lovely inks. This is a turquoise with character. It’s fairly quick drying, is a great colour and has some decent shading going on too. It’s going to get quite frequent use, I suspect.